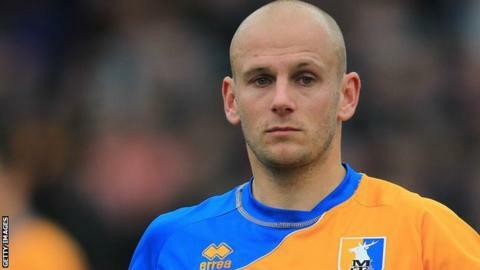 Mansfield Town assistant boss Adam Murray is set to be recalled from his loan spell with Worksop Town on Friday. The midfielder and Stags manager Paul Cox had a public fall-out which ended with Murray joining Worksop on a two-month loan deal in November. But the 32-year-old and Cox met on Monday and Murray is scheduled to return after 28 days - the earliest the terms of the loan deal allows. Murray will be available for Saturday's FA Cup tie at Oldham Athletic. Meanwhile, former Stags assistant boss Mickey Moore, who was Cox's number two in the 2011-12 Conference Premier season, has left his position at Nuneaton to re-join the club as first-team coach.